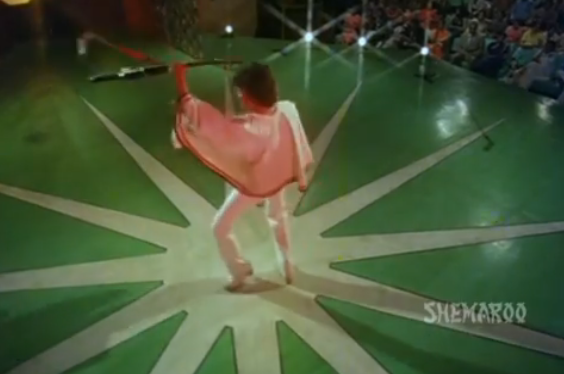 As part of the Mysterious Order of the Skeleton Suit's Swap-a-Thon this month, in which each member is doing a guest project on another's site, Carol of The Cultural Gutter volunteered to watch the dramatic, music-filled, and super-duper sparkly Bollywood classic Disco Dancer and discuss it with me. We wander across religion, philosophy, family dynamics, choreography, and Elvis, and we even propose the film's potential significance to the medical community for its hard-hitting depiction of the little-known but dangerous mental condition known as "guitar phobia." Click on the player below to hear our conversation or right-click here to download. 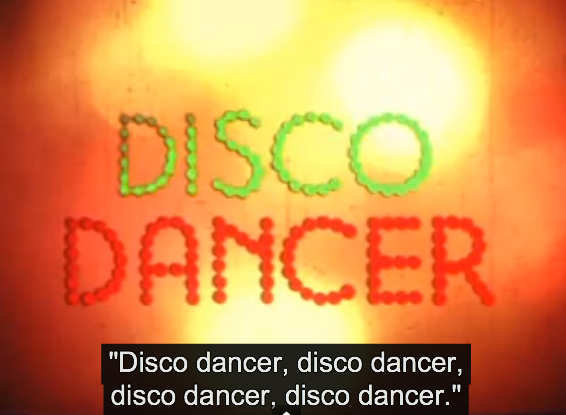 Disco Dancer is on the Shemaroo youtube channel for free and with subtitles here. Still need enticing? Maybe you can be tempted by a child hand-feeding his imprisoned mother, then growing up to vow comeuppance and insult those who mock him. Or perhaps the debauched competitor, the intimidating henchman, or the avuncular spirit guide. Or Krishna invoked by capes and black knee socks. Or just lots and lots of sequins and tinsel and flashing lights. And if you need to start your own disco dance break right this instant, there's a jukebox of the songs here. This was really fantastic and fun to listen to. I would put more order in for you two doing a Monthly Mithun podcast. 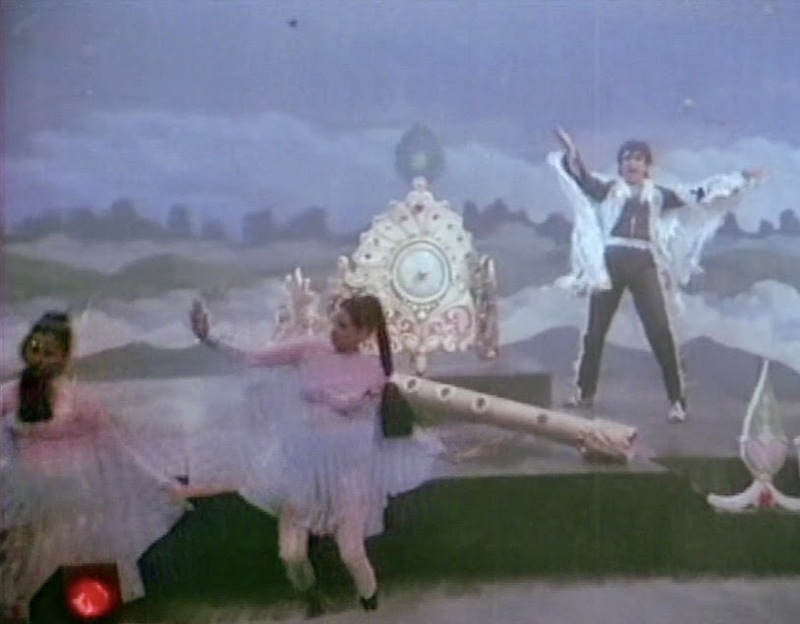 Now that Carol has been initiated into the world of DISCO DANCER, I think the next logical steps are DANCE DANCE (Mithun...break dance fighting!) and of course, COMMANDO. I tried to watch Dance Dance but couldn't make it through. I did get to the song about halva, though. And you are still writing!! Lemme give you a virtual 'Oscar' for this blog.